Ketones are an alternative fuel to sugar for your brain and body and are anti-inflammatory. The “keto” diet and ketone supplements can benefit general health and help burn fat. Moreover, nutritional ketosis could help fight problems where poor glucose uptake in brain cells and/or inflammation are at play. This website was created in 2008 to spread the message about ketones as alternative fuel for the brain with special affection for people and their families who are dealing with Alzheimer’s and other neuro disorders. This new book and website answer your keto questions. Ketones are a natural fuel, an alternative to glucose. Moreover, ketones are anti-inflammatory and suppress appetite. Healthy nutritional ketosis happens when we fast, eat a keto (ketogenic) diet, eat coconut oil, MCT oil or exogenous ketone supplements. People report better mental focus and clarity, more energy, improved sleep. Nutritional ketosis can help burn fat, lower blood sugar, and preserve muscle while losing weight. Combine keto diet and supplements for more effect. Ketones are fuel and building blocks for brain lipids throughout the lifespan. 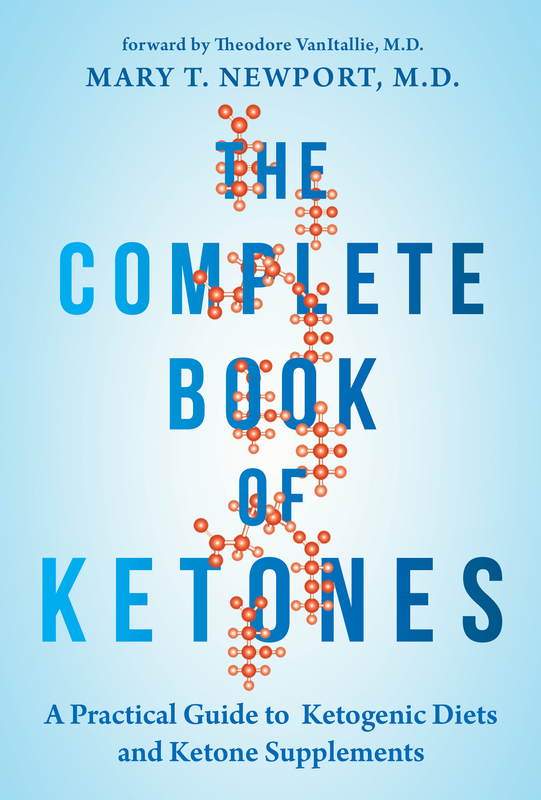 Check out keto strategies: ketones, the ketogenic diet, coconut oil, MCT oil, ketone salts and ketone esters. New Keto Book Released February 19, 2019. Order Now! Looking for KETO DIET? Start Here! 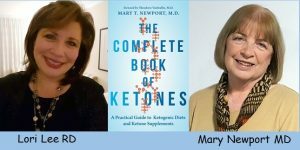 Articles by Dr. Mary Newport – free articles to read and print out: Diet Guidelines for coconut oil and MCT oil, ketone salts and ketone esters by Dr. Newport. Mary T Newport MD – Bio and Books Page – information on Dr. Newport and her books. Ketone Supplements Info & Buy Links – free information on ketone salts and MCT 143. See Articles by Dr. Mary Newport for more detailed information. Video Page – Podcasts, videos, our story, ketones and how they work, keto diet, ketone supplements. Scientific Research Page – free articles to read and print – published research on ketones, ketogenic diets, Alzheimer’s and more. Alzheimer’s & Dementia: Articles by Dr. Newport and links to Alzheimer’s Association, NIH, Dementia Alliance International and more. 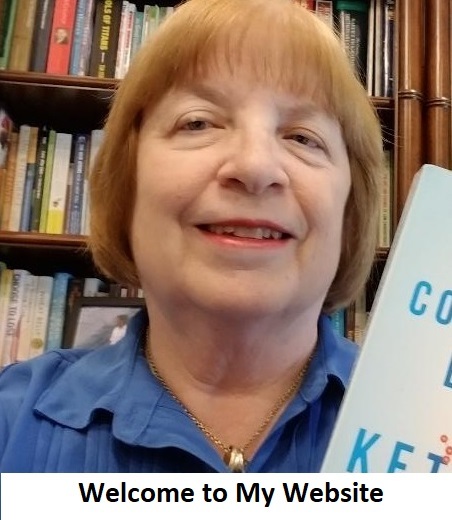 Keto and Alzheimer’s – Monitor & Book Store – recommended books on ketones, ketogenic diet, Alzheimer’s (nutrition, biographies and help for caregivers), brain and gut health. Caregiver’s Store – economical, quality supplies we used for comfort and safety. Contact Page – contact us with testimonials and questions. Dr. Newport’s Blog – numerous posts since 2009 on Alzheimer’s, ketones and more. 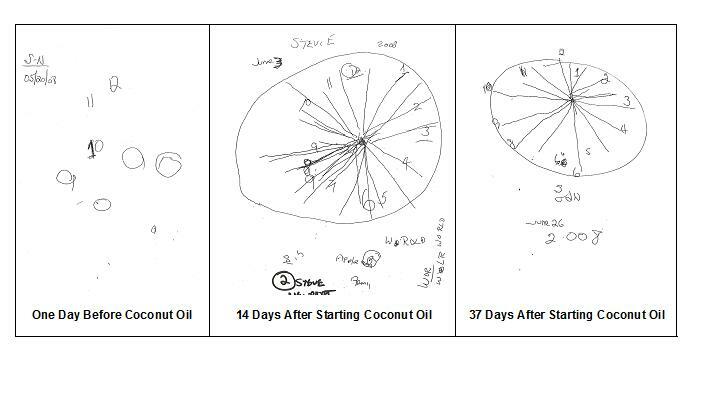 This is just one visual of what coconut oil and ketones did for my husband Steve Newport in the first days to months. First days: More alert, more talkative, finished sentences, sense of humor and animation in his face returned, was less distracted, recognized relatives. Hand and facial tremor resolved. Steve said it was like the “light switch came on” in his head the day he started coconut oil. 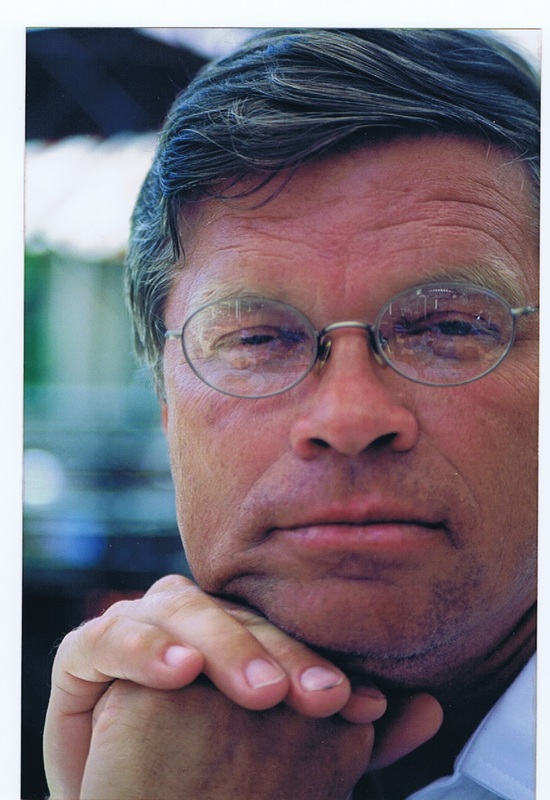 Original Article from 2008 by Dr. Newport – What If There Was a Cure for Alzheimer’s Disease? After weeks to months: SEE CLOCK DRAWINGS BELOW. Steve could “do things” again, like cutting the lawn and helping with housework, finishing projects, and became a hospital volunteer. His stiff slow gait resolved after two months. His visual disturbance resolved and he could read after three months. He could recall what he read hours earlier after nine months. Coconut oil and MCT oil changed our lives for the better. It has been more than 10 years since Steve improved in May 2008 with coconut oil, the richest natural source of medium-chain triglycerides, which convert to ketones, an alternative fuel for the brain. He improved very significantly and steadily the first year and remained stable for at least 2 to three more years. He began having seizures in summer 2013 starting with a head injury from a fall and did not fully recover. Despite this serious setback, it was well worth the extra quality years that we had together as a family. He remained in our home with the help of our wonderful caregivers. 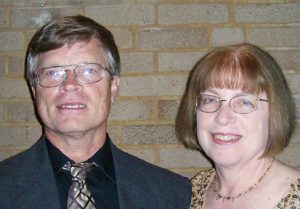 Although he lost his battle with Alzheimer’s on January 2, 2016 at age 65, there is still hope for others who are at risk or in earlier stages of this horrible disease, and their families might actually win their fight. Recent studies using Ketone and Glucose Uptake PET scans show that ketones are taken up normally in the areas of the brain affected by Alzheimer’s disease even when glucose is not and consuming medium-chain triglyceride (MCT) oil can fill in the gap between how much energy the brain needs and how much it receives. This strategy could help prevent or delay the onset of this dreadful disease. A number of small studies have been completed and larger studies are in progress, showing preliminary good results. The Alzheimer’s Association is funding an MCT oil/ketone PET study and plans to fund a similar study of the Veech ketone ester. I want to thank the nearly 500 people who have sent me testimonials for your loved ones who have tried coconut oil and/or MCT oil and/or ketone supplements for Alzheimer’s, other dementias, memory impairment, Parkinson’s and other disorders. While some people have no response, the vast majority have reported improvements in cognitive functions and overall quality of life. Such testimonials (kept anonymous) have helped obtain funding for research. Steve’s brain was donated to the Florida Brain Bank, a research study for Alzheimer’s disease and other dementias. We learned that he suffered from both Alzheimer’s and Lewy body dementia. This gave us great closure and others might consider making a brain donation to further dementia research and discovery of causes and cures. Ketones therapies are under study at University of South Florida (USF) department of Navy Research under the direction of Dominic D’Agostino, Ph.D. for the treatment of cancer, ALS (Lou Gehrig’s disease), wound healing, oxygen toxicity, epilepsy, status epilepticus, and rare enzyme deficiencies. The cancer studies look at combinations of ketogenic diets with hyperbaric oxygen, ketone esters and glucose-lowering substances to further enhance the effect on killing cancer cells, which thrive on glucose but normally cannot use ketones, while preserving normal cells by providing ketones as fuel. Several studies are published and human clinical trials are underway in several locations. You can provide ketones to the brain and other organs as an alternative fuel through adopting a “keto” (ketogenic) diet and by consuming coconut and MCT oil and other foods that contain medium chain triglycerides to produce ketones. Ketone salts and esters provide “instant ketosis” and many people report benefits. This should not be taken as medical advice. I strongly urge you to consult with your physician before undertaking a ketogenic diet or using ketone supplements. If you or your loved one is suffering from a chronic or progressive condition, this may be worth considering.